She became known the world over by her stage name, but the late, great jazz singer Nina Simone started life in relative obscurity as Eunice Kathleen Waymon. The sixth of her parents’ eight children, she was born in Tryon in 1933. Now, much of Simone’s birthplace has been restored to honor its history, but its future is in jeopardy. The home’s would-be preserver, Kipp McIntyre, bought the house in 2005, and he’s since spent more than $80,000, he estimates, in an effort to return the structure to its original state. Working with local contractors and volunteers, he’s replaced the foundation and stripped away drywall and other layers of modernity; with help from Simone’s friends and one of her brothers, he’s installed period furniture and fixtures to replicate the home as she would have remembered it. For McIntyre, a former museum curator and county economic planner, the project is a labor of love that he can no longer afford. Late last year, he was forced to suspend the restoration project and put the house on the market. His asking price is $143,000, but he wants something more from any potential buyer: a commitment to Simone’s legacy. 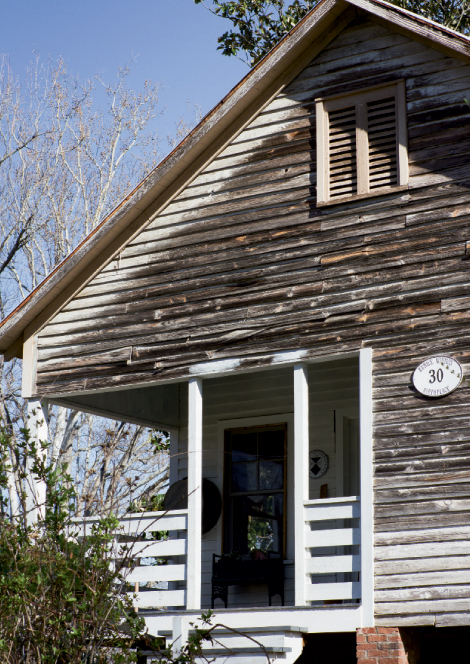 The house, built in 1928, is one of the last remaining of its era in east Tryon, and one of the few physical vestiges of the vibrant African-American community that nurtured young Eunice Waymon, McIntyre notes. He winces at the prospect of a future owner tearing it down. “It would be a great personal disappointment, and the resulting damage to the community would be irreversible, but I can’t control that,” he says. If the house doesn’t survive, it will be more than Tryon’s loss, McIntyre stresses. A vital milestone in the history of Simone’s rise from “little prodigy” to jazz legend will disappear, taking with it the chance for her legions of fans to visit.